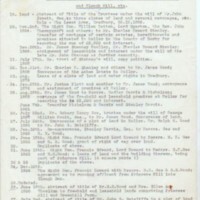 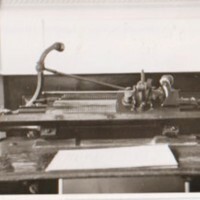 Typed and hand written research information and genealogy of the Stanney Family. 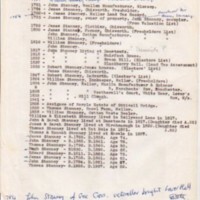 Family Pedigree from Thomas Stanney at Bear Fold in 1691. 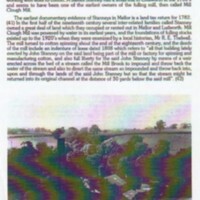 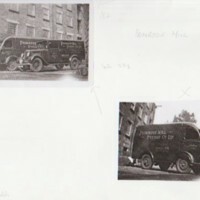 Photocopies of numerous legal documents relating to Primrose Mill and the Stanney Family. 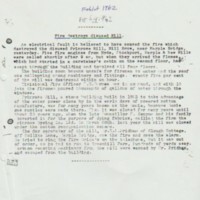 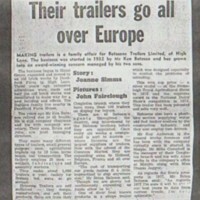 Schedule of documents from Mr Finnis concerning Primrose Mill. 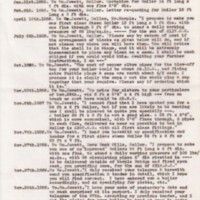 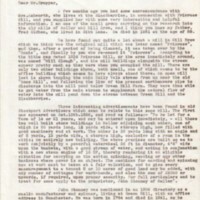 Correspondence received by Tom Oldham and Ann Ashmore in the 1970's and 90's with memories and reminiscences of Primrose Mill both handwritten and typed notes. 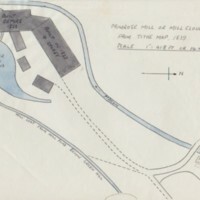 Several hand drawn sketches by Tom Oldham of Primrose Mill giving details of the layout of the mill buildings, stream, pond and mill yard. 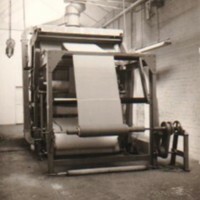 Also photocopy of photograph showing the inside of the factory before the first world war. 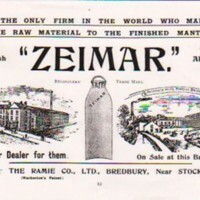 Photocopies of The Ramie Co. Limited advertisements examples of packaging 1900's for the Product The Zeimar Mantle a W Warburton Patent. 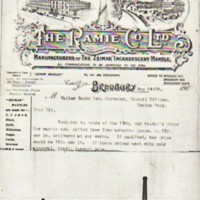 Advertisement shows Victoria Mill at Bredbury and also Primrose Mill, Marple Bridge. 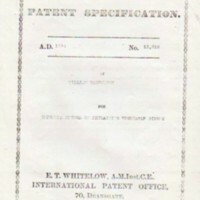 Photocopies of a three page Patent Specification of William Warburton for Improved method of extracted vegetable fibres registered at Manchester 1896 known as "Ramie"
Polysar Progress trade magazine article "Former Mill makes a picturesque rubber factory" with black & white photograph of Manager of Rubber & Plastics Engineering Co with his family outside their home. 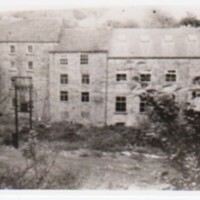 Originally the Mill owners home. 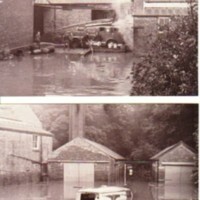 Large selection of photographs from different times and sources from black and white photographs of the clean up after floods in 1967 to the closure, demolition and redevelopment of the Cataract site. 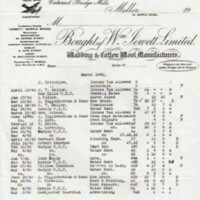 Photocopy of company invoice from Wm Jowett Limited, Wadding & Cotton Wool Manufacturers, Cataract Bridge Mills, Mellor dated 1942 listing companies and expenditure from April 28th to May 2nd 1942. 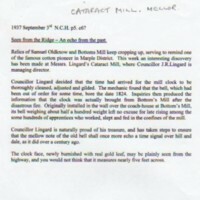 Typed transcript of newspaper article from North Cheshire Herald 3rd September 1937 reporting on Messrs Lingard's Cataract Mill Clock, whilst cleaning it established dated from 1824 and that it originally was bought from Bottoms Mill. 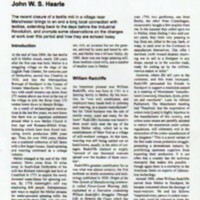 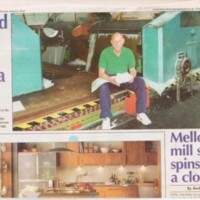 Three page article by John W S Hearle in the Textile Magazine from 2005 giving history mills in the area and the closure of Cataract Bridge Mill with photographs of the interior machinery. 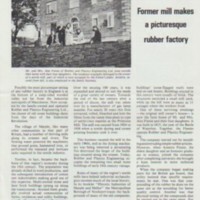 Invitation to Public Exhibition by R Hamilton Limited with regards to demolition and redevelopment of Cataract Mill 2004. 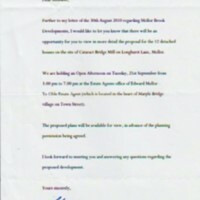 Email correspondence with Mellorbrook re redevelopment. 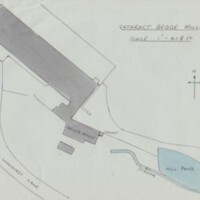 Photocopy of the 1836 tithe map showing Longhurst Lane / Cataract Bridge, no mill. 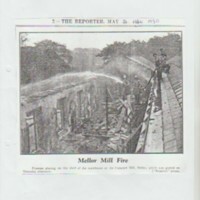 Full page article from Marple Review Autumn 2004 giving a report with photographs of the closure of Cataract Bridge Mill by Avril Marsh. 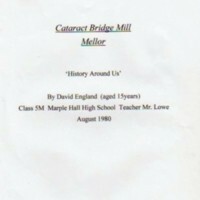 Twenty three hand written pages by David England (aged 15 years) school project entitled Cataract Bridge Mill, "History Around Us" 1980.